All professionals at Steven M Weissman MD PLLC maintain the highest levels of accreditation and pursue ongoing education to stay abreast of the latest trends in the medical field. Read on to learn more about our staff's experience and training. Dr. Steven Weissman is a board-certified dermatologist with over 15 years of experience and a lifelong passion for skin care. Dr. Weissman received his MD from the Albert Einstein College of Medicine, and completed his residency at the SUNY Health Science Center at Stony Brook. 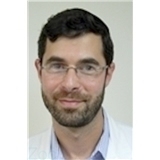 He has also held positions at a number of other institutions, including the NYU Medical Center, Maimonides Medical Center, and the Bronx Lebanon Hospital Medical Center. He is a member of the American Academy of Dermatology, American Society for Dermatologic Surgery and the American Society of Cosmetic Dermatology and Aesthetic Surgery. Living in New York, Dr. Weissman is pleased to offer his devotion and experience to the people of Brooklyn and Queens.